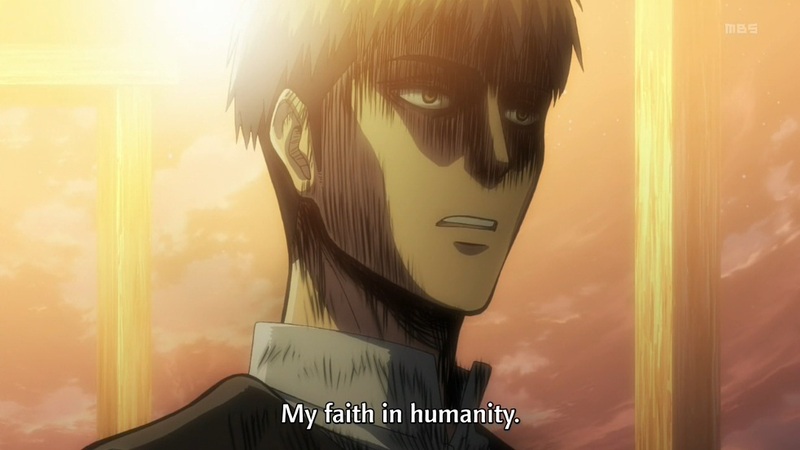 In my last post, I discussed my stance on sexism in male otaku fandom. I described my ambivalence about my own fan activities and how I have always felt complicit in sexist attitudes despite my desire for gender equality. It is certainly easy to point out that anime fanservice objectifies women (among other things) and in doing so turn your critical eye away from yourself. This time, I want to focus on the female anime fan’s perspective. In doing so, I hope to show that sexism in the anime fandom lies far beyond what is shown in anime itself. The sharp division between anime communities “for boys” (i.e. 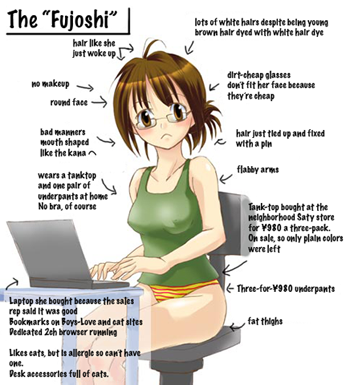 Reddit and 4chan) and anime communities “for girls” (i.e. tumblr and fanfiction sites) does not help. There is a distinct lack of open communication between both genders online. This enforces gender stereotyping on both ends. This post is a collaboration with my friend AquaJet. She is an insider of both female otaku culture and tumblr culture. I decided to feature her writing on my blog because I feel this is a perspective that needs to be shared to a wider audience. Because Froggy is away in the Philippines, twelve guest writers will be blogging about anime and/or Christmas. 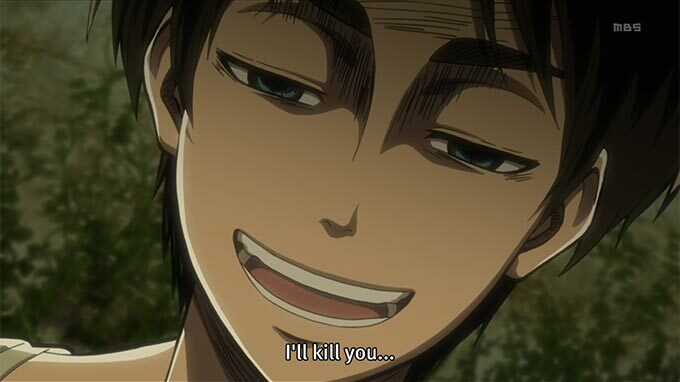 Today’s guest writer is Eren Jaegar from Shingeki no Kyojin, a member of the Survey Corps and kind of an angry person. This is what your face is going to look like after going through this list. 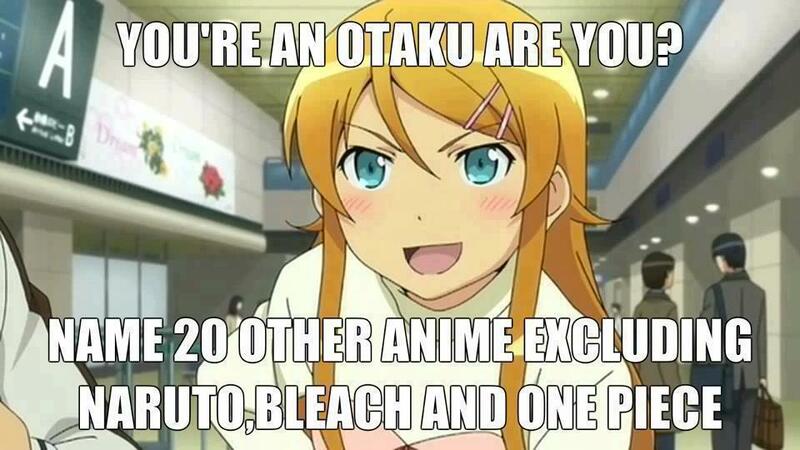 After reading their opinions on this current season of anime and their most anticipated title for next season, it’s up to your expert opinion to decide: Between me, Kirino, Kuroneko and Kyousuke, who has the shittiest taste in anime? The answer is in your hands. Vote on the poll in this post! Funnily enough, there are actually no girls on this list. I’m not on Touma’s level yet.